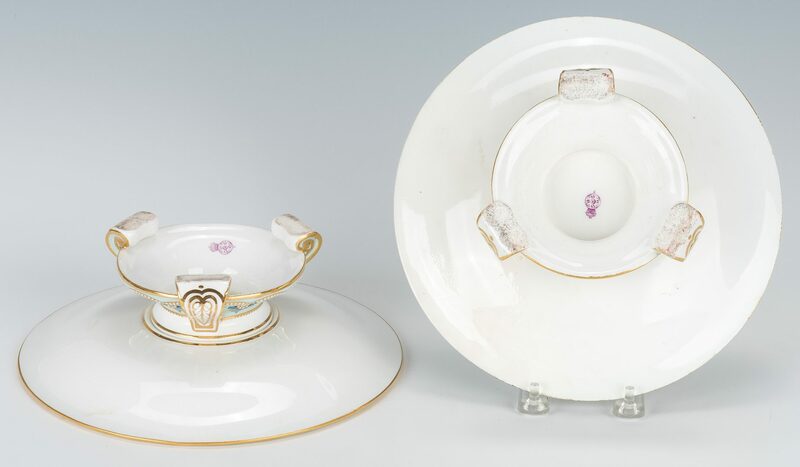 Lot 501: Royal Worcester Botanical Dessert Service, 16 pcs. 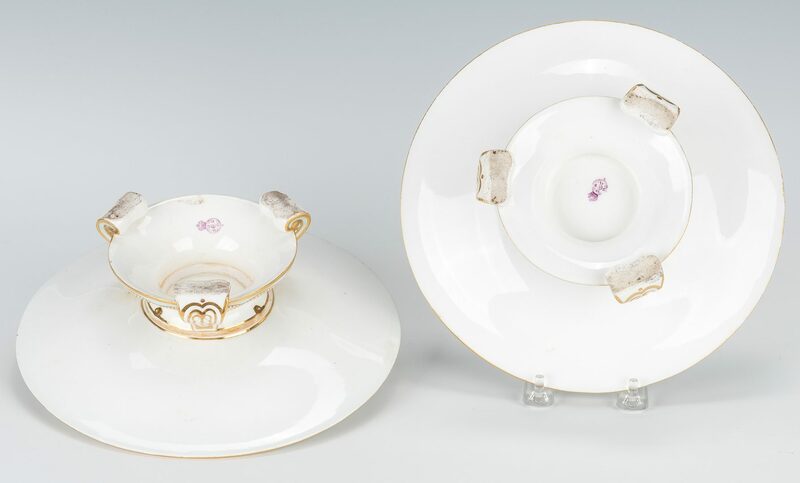 You are here: Home >> January 26, 2019 Historic Winter Fine Art and Antiques Auction >> Lot 501: Royal Worcester Botanical Dessert Service, 16 pcs. 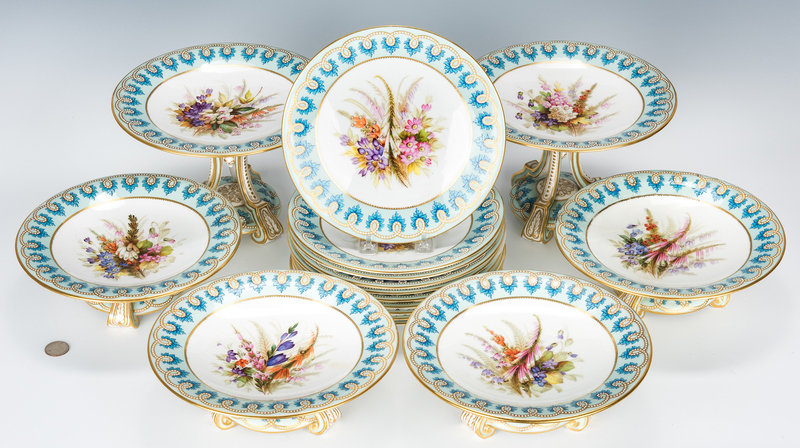 English Royal Worcester porcelain dessert service, consisting of ten (10) plates, four (4) tazzas and two (2) tall pedestal servers. 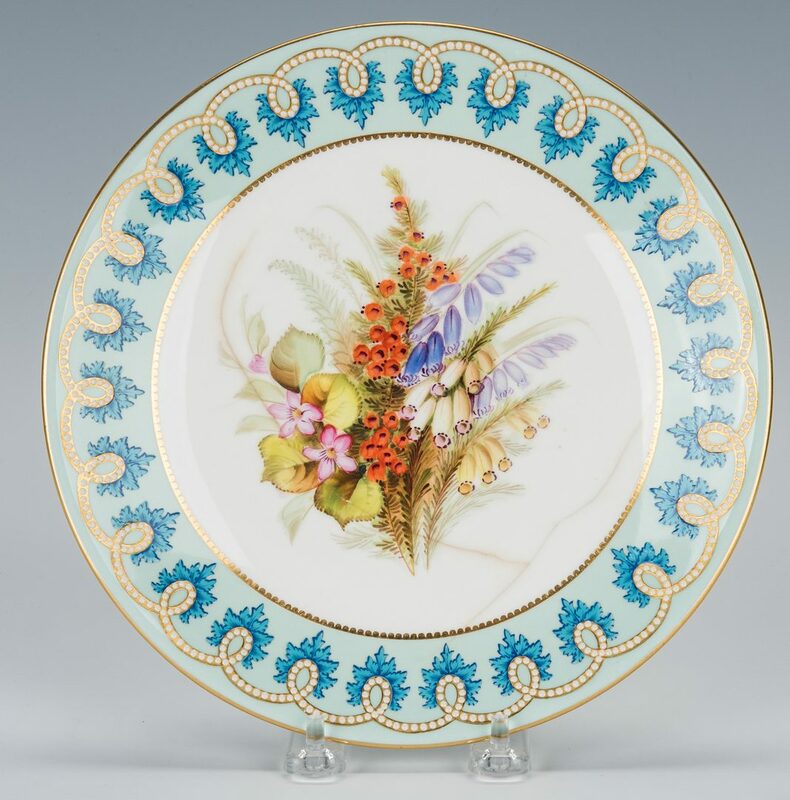 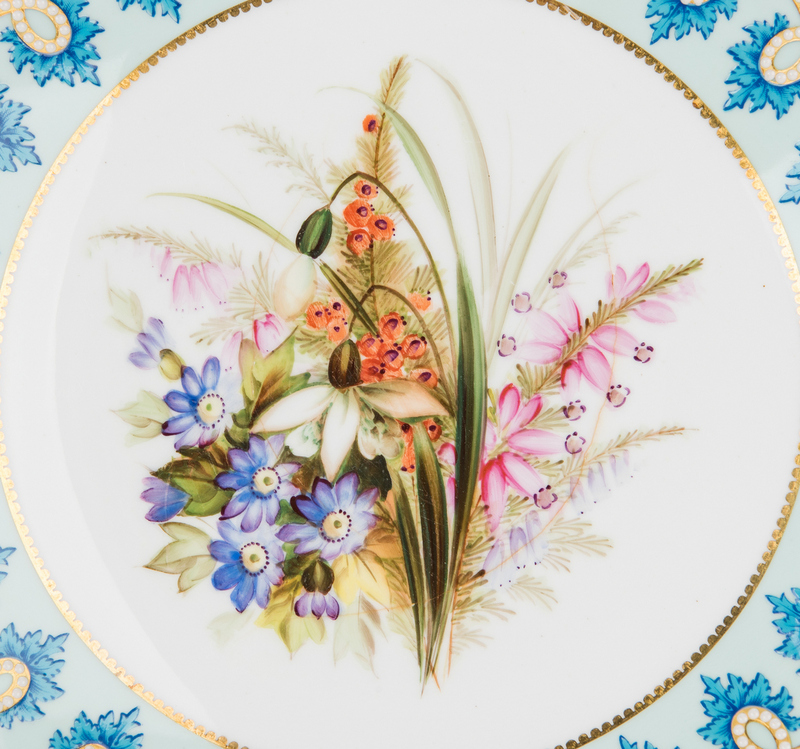 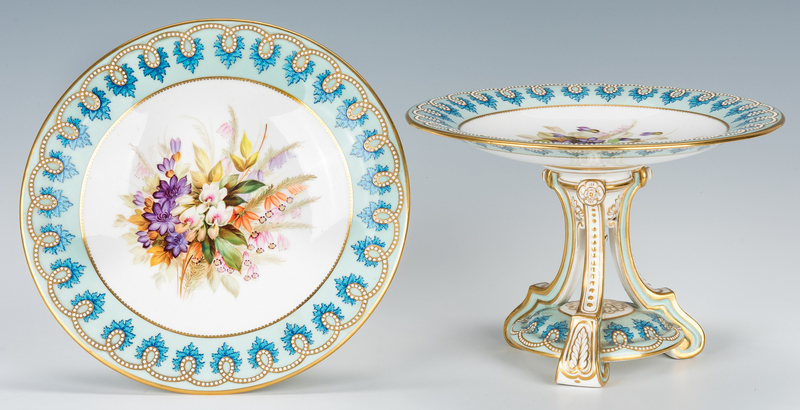 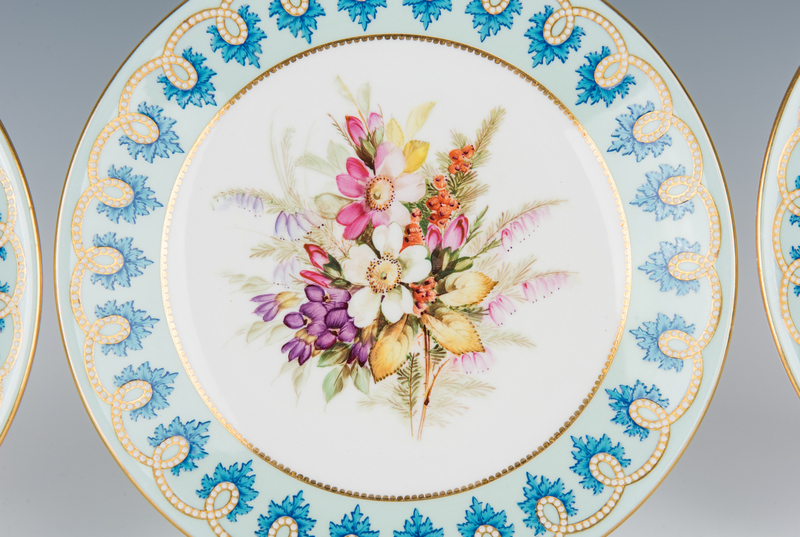 Each piece with hand painted floral vignettes and beaded enameled and gilt robin's egg blue and turquoise borders. 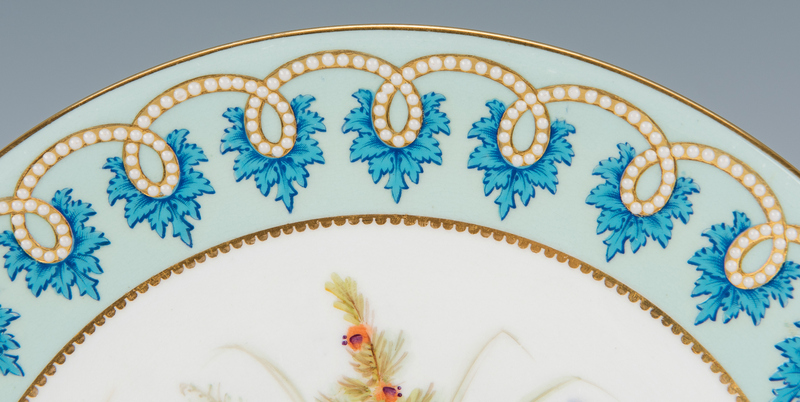 All with Royal Worcester stamp mark and gilt numbers to the undersides. Plates – 8 7/8" dia. 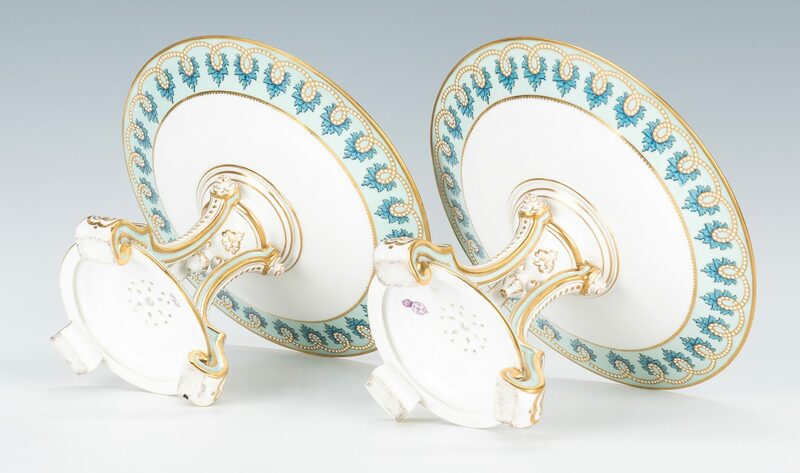 Tazzas – 3" H x 9 1/4" dia. 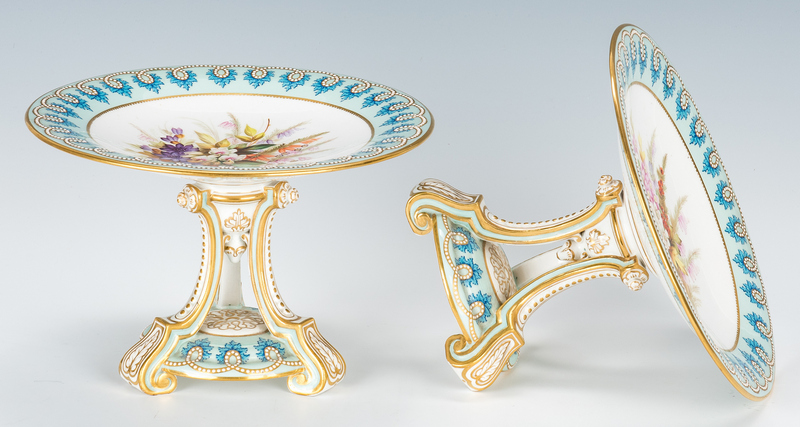 Pedestals – 6 1/2" H x 9 1/4" dia. 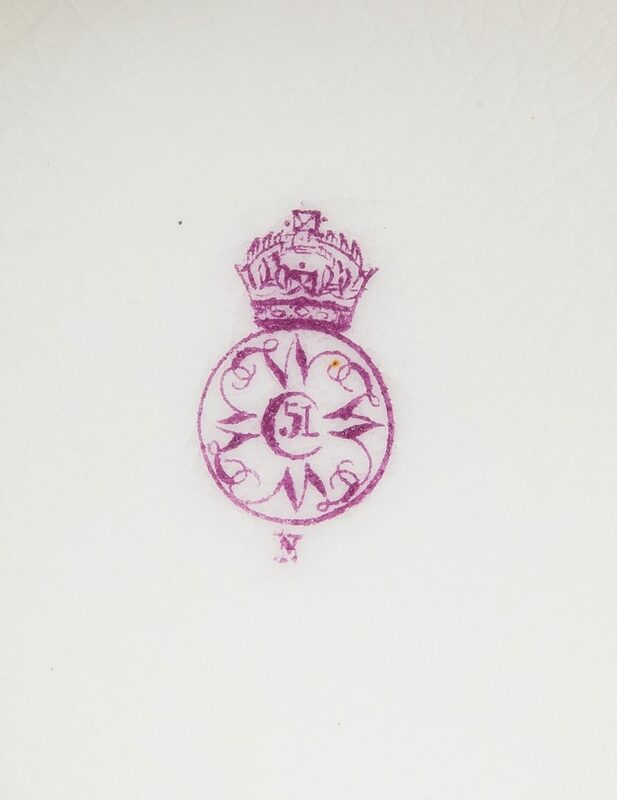 Date marks for 1878. 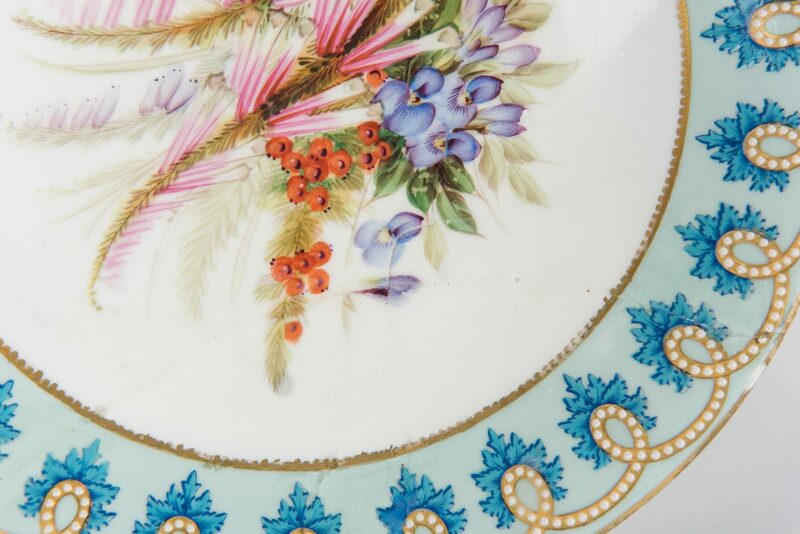 Provenance: Nashville, TN estate. 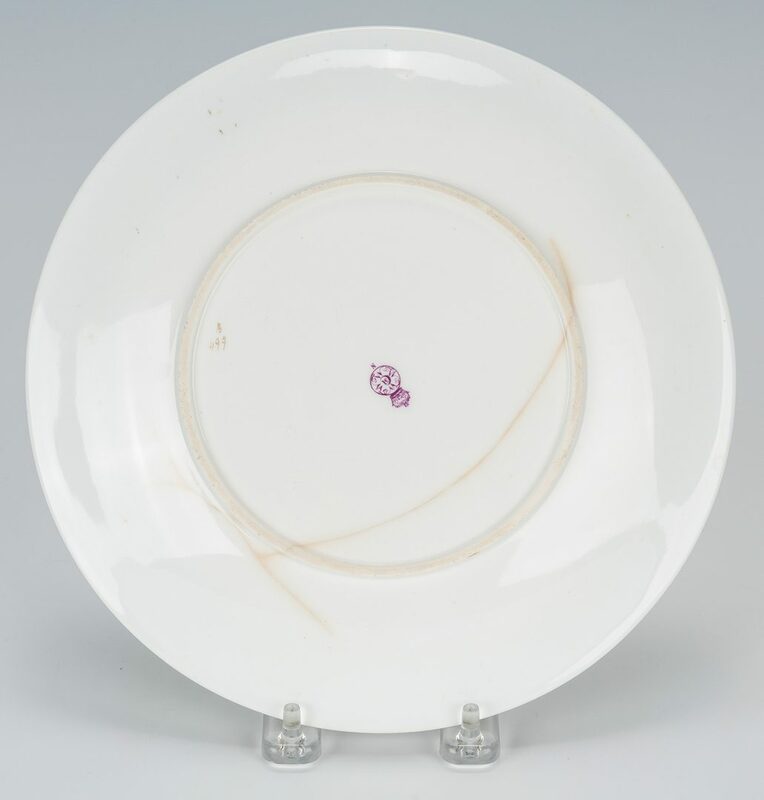 CONDITION: One plate with hairlines. 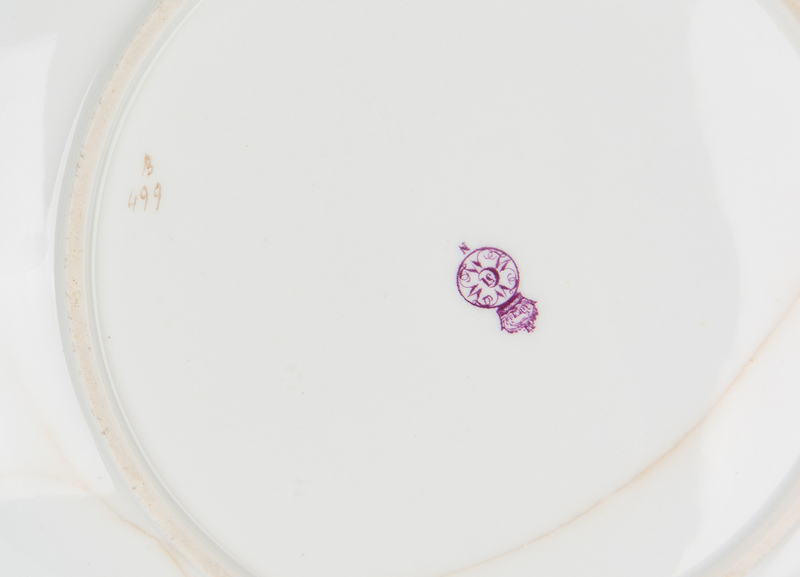 One tazza with evidence of repair, another with staining, Remaining pieces overall very good condition.